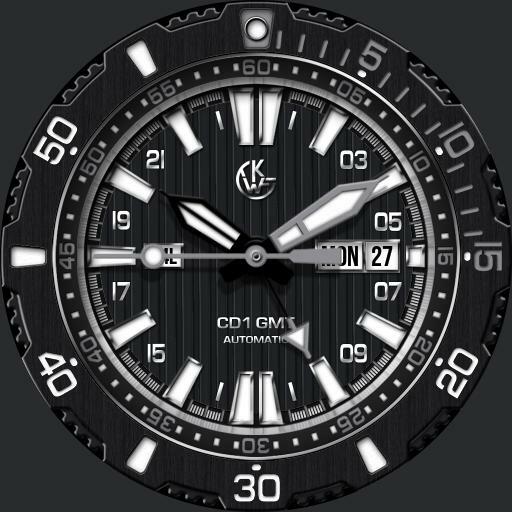 Tap between 1 and 2 area to zoom and remove bezel, 4 scales. Tap logo area to rotate/reset bezel. Tap 9 area to cycle GMT hand modes. Tap 3 area to cycle dial colors. Tap between 10 and 11 area to cycle dial textures. Seconds hand is watch battery level indicator in dim mode.